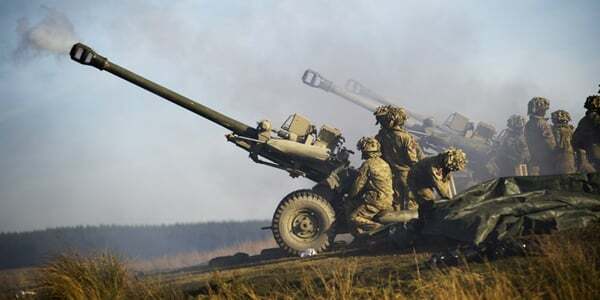 Four Royal Artillery soldiers face dismissal after positive drugs tests in the same week. The soldiers from 12 Regiment failed the compulsory drugs tests and the Army has confirmed applications for their discharge will be made. The strict policy of compulsory drug testing is to reinforce the message that drug use is wholly unacceptable and any military personnel who take drugs will be “dealt with accordingly”, say officials. The army tests around 100,000 soldiers every year for drug misuse. Historically, between 1–3% prove positive. In 2016, the Army discharged 650 soldiers. The Army has recently reinforced its zero-tolerance policy on drug taking after being criticized for allowing soldiers to carry on serving following positive drugs tests. Last year, a chronic shortage of new personnel to the armed forces saw a bend in the rules when it was revealed that new recruits would not be dismissed if they were found to have used drugs within their first 14 weeks of training. Soldiers had also been allowed to continue their service after a positive drugs test in exceptional circumstances. However, earlier this month it was announced that any soldier caught taking drugs – including those under training – would be discharged and barred from re-enlisting or joining the reserves. AlphaBiolabs can fully manage, or provide advice regarding, a drug and alcohol testing policy to ensure that it is independent and impartial. We can tailor your policy to your specific needs and provide bespoke solutions to any issues arising. For information on any of our workplace testing services, or drug testing solutions, call us on 0333 600 1300, email at info@alphabiolabs.com, or visit our website at www.alphabiolabs.co.uk.